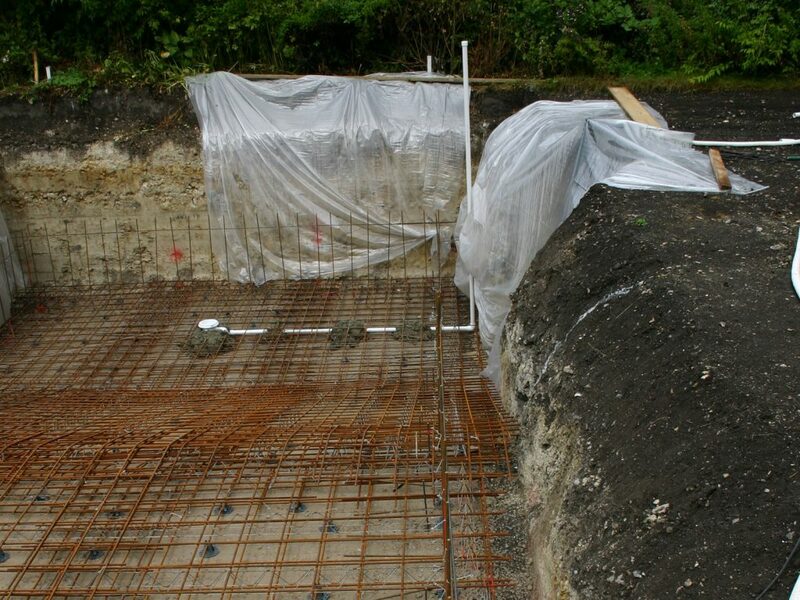 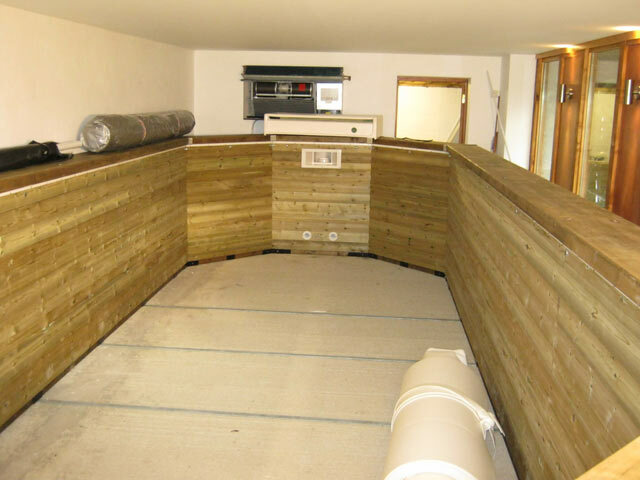 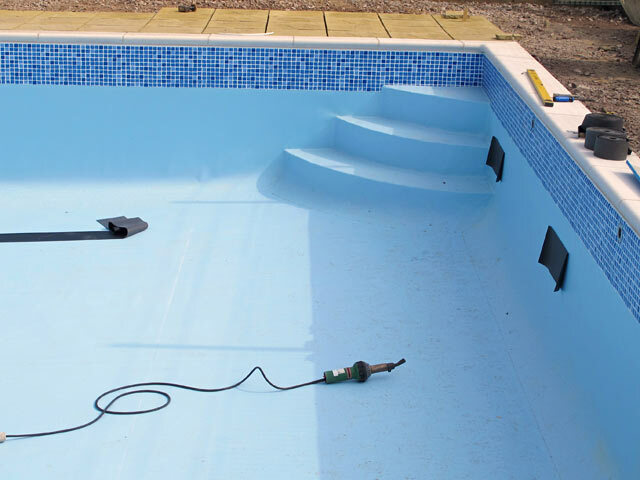 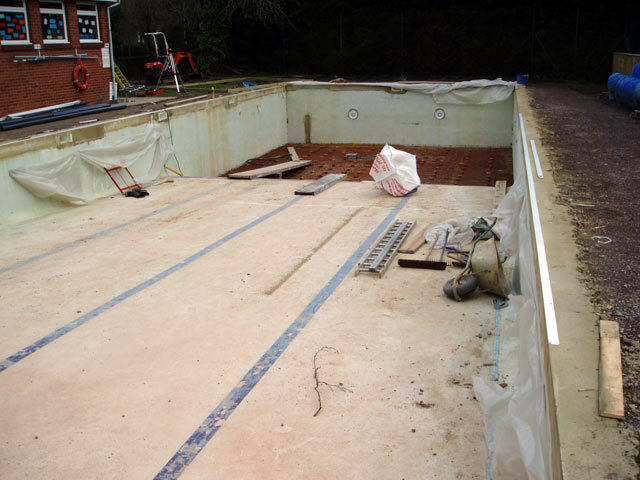 The following series of photos shows the installation of an in ground liner swimming pool. 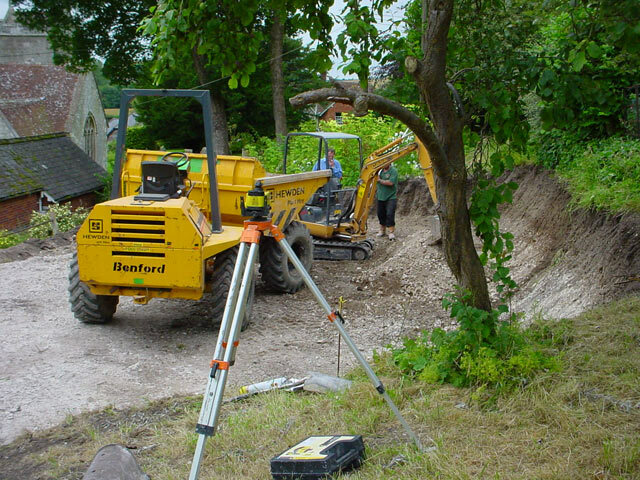 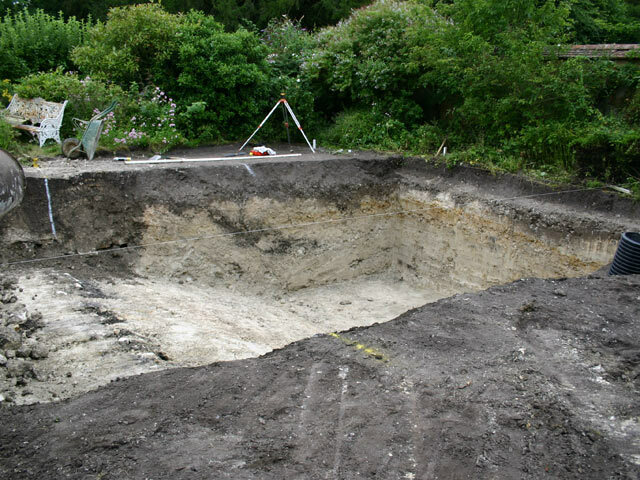 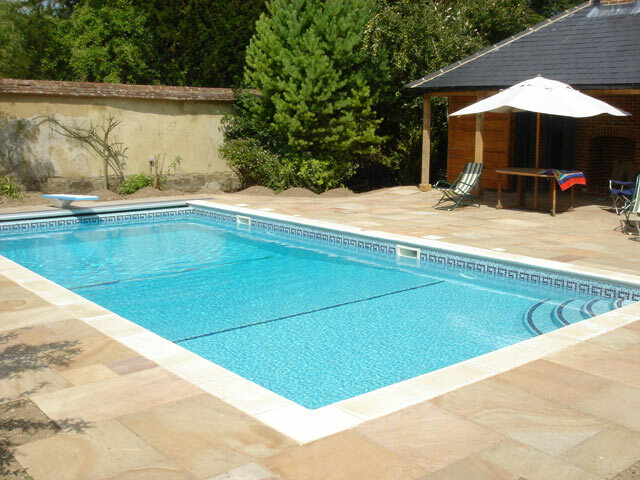 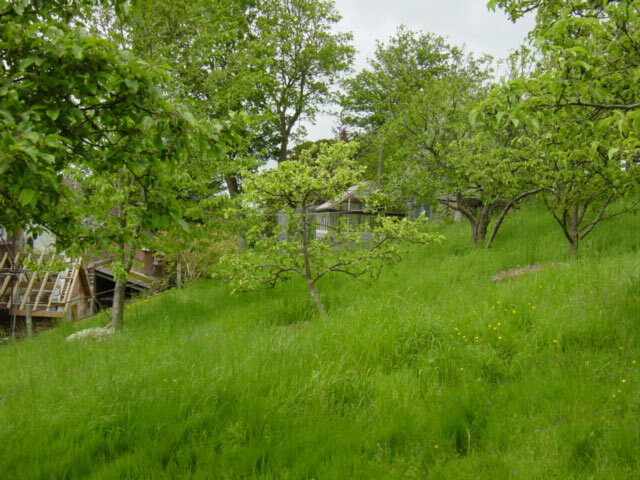 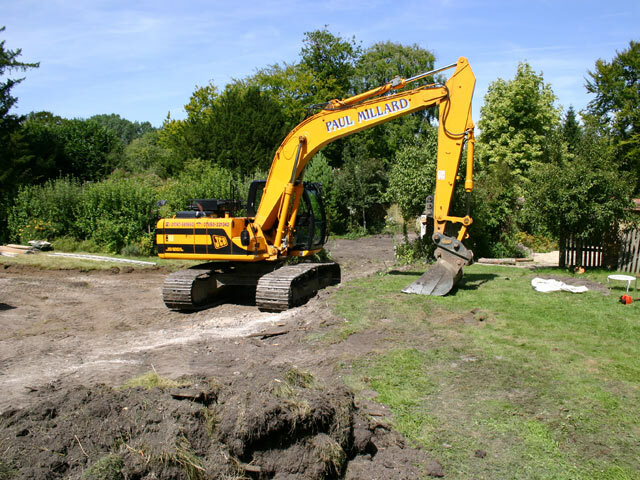 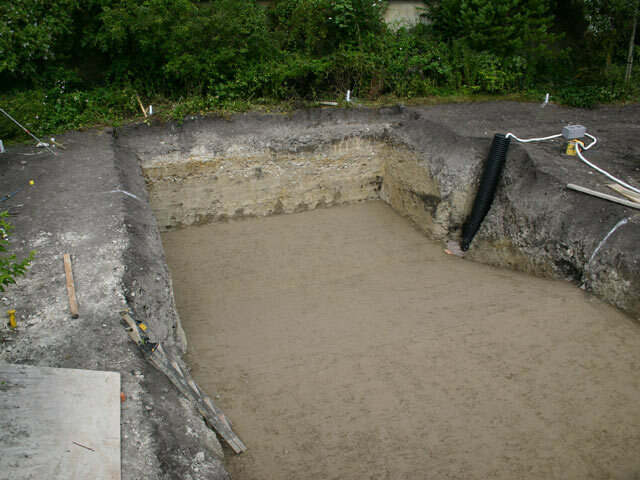 Our customers requirement was to build the pool on a considerable slope within the garden which required the ground to be prepared and levelled before the pool was dug. 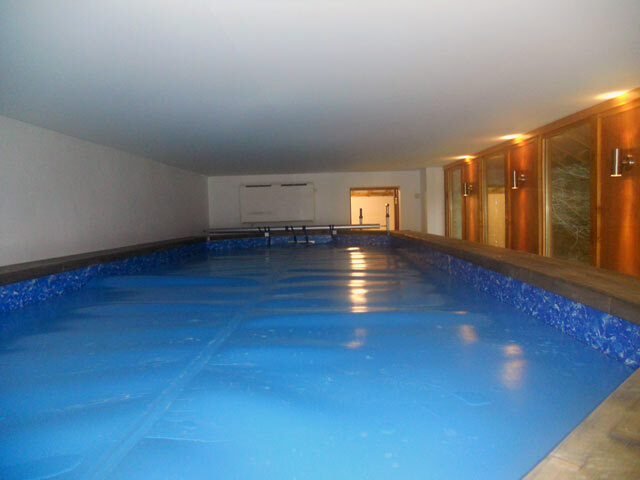 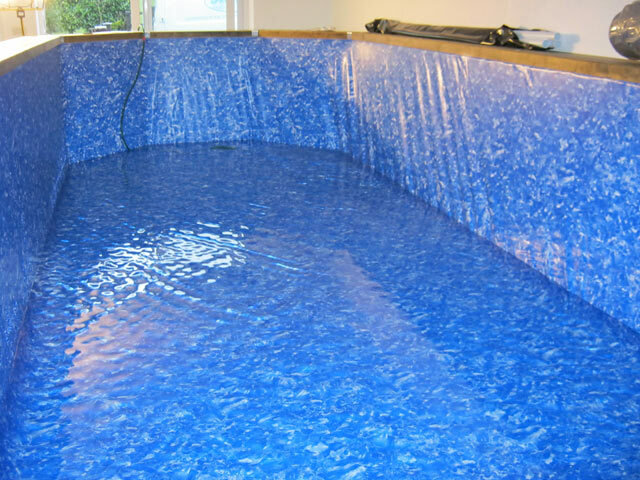 The pool installed was a liner hopper pool with a flat shallow area sloping gently down to a deeper area. 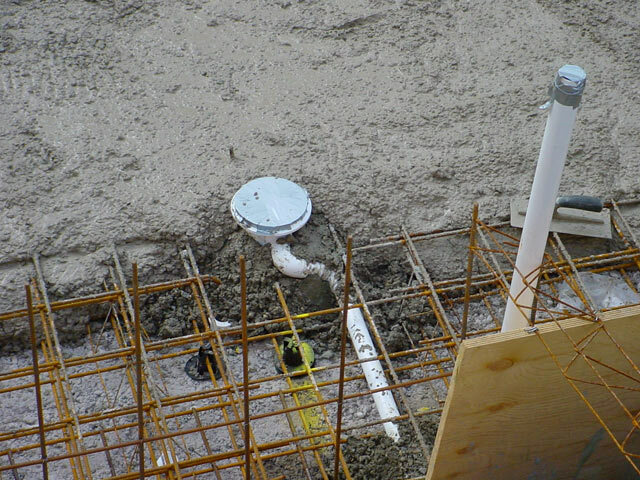 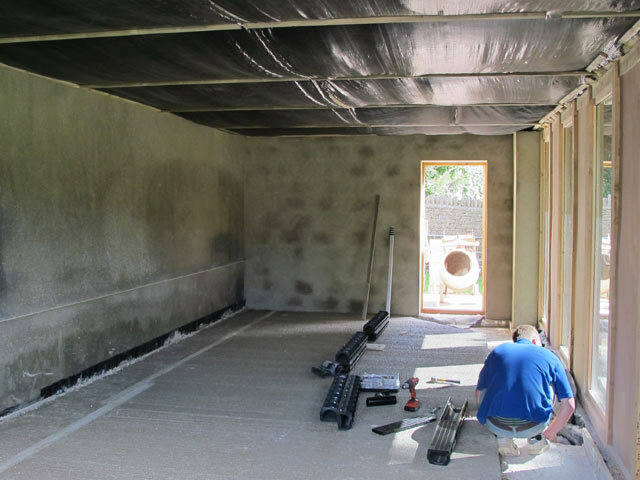 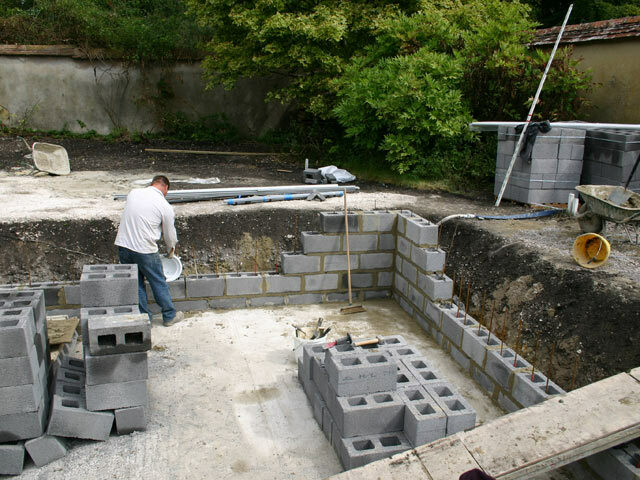 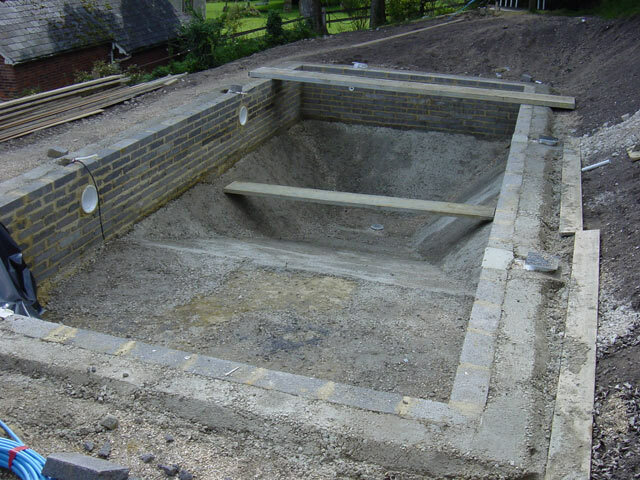 The following photos show the installation of an in ground swimming pool with a concrete structure and a tiled finish. 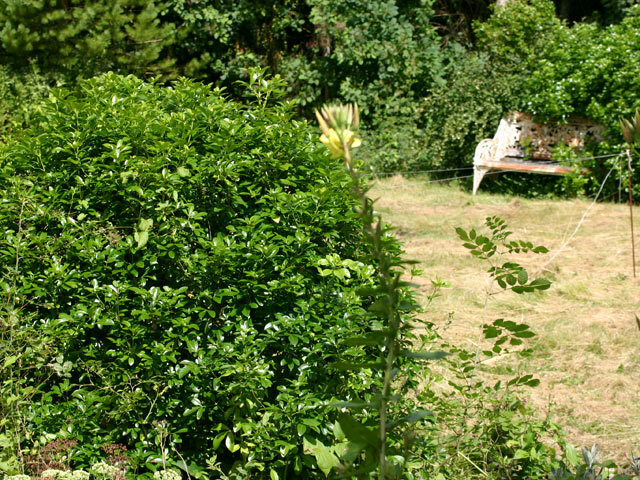 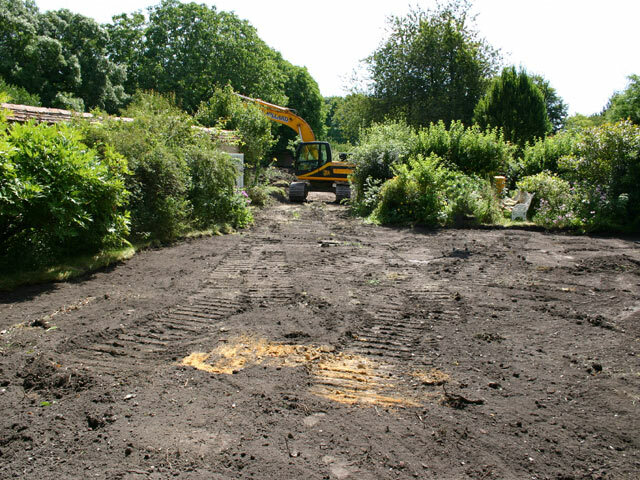 The swimming pool was to be located within an established walled garden so access was a bit restricted and extra care had to be taken to avoid damaging any of the surroundings with the large machinery. 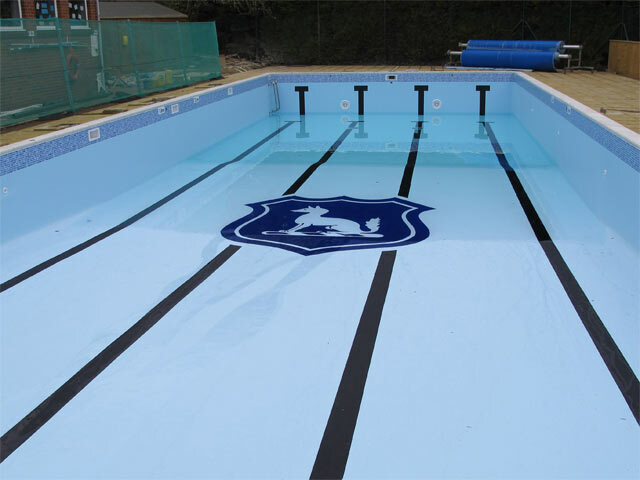 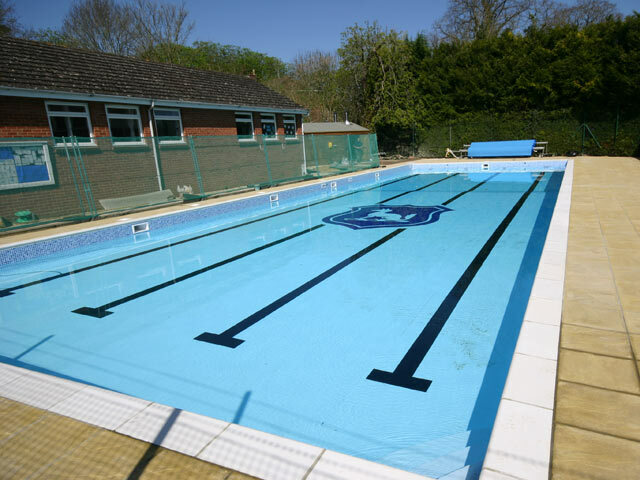 This well used school pool was in desperate need of refurbishment and was loosing a significant amount of water. 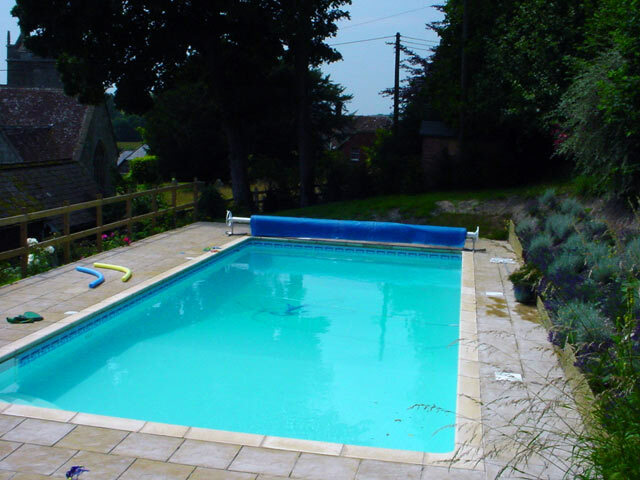 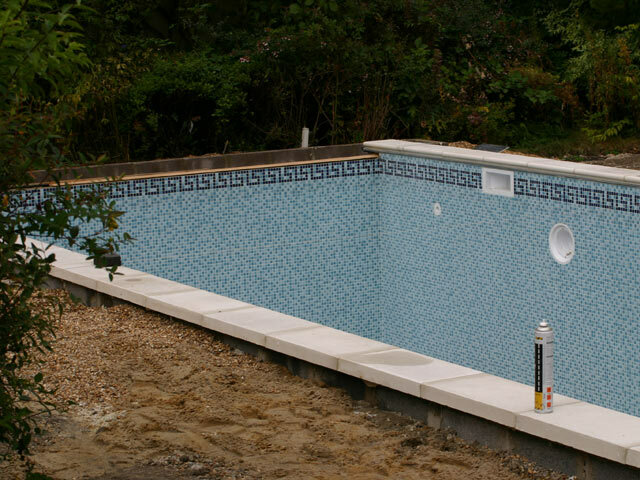 Our instruction was to make the deep end of the pool shallower and to install a heavy duty liner which was fabricated onsite in order to transform the look of the pool and stop the leaks. 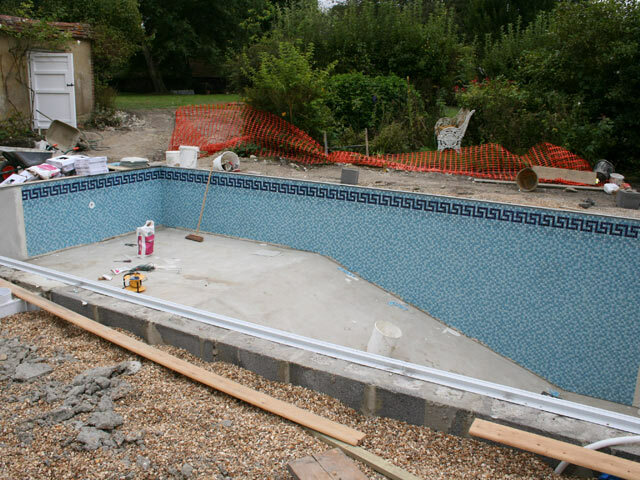 Some pipework and the coping stones and paving was also replaced during the works. 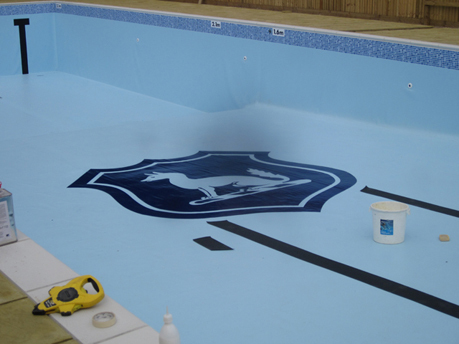 The school also requested that we incorporate the school logo on the floor of the pool which added a nice feature to the finished project. 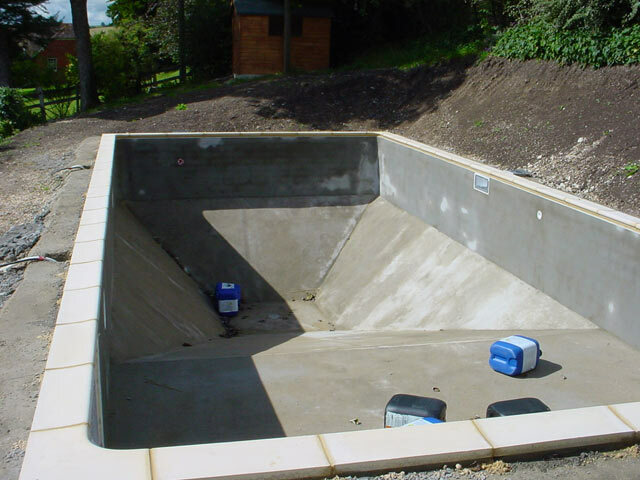 This project was slightly unusual as our instruction was to install an above ground swimming pool within an existing building. 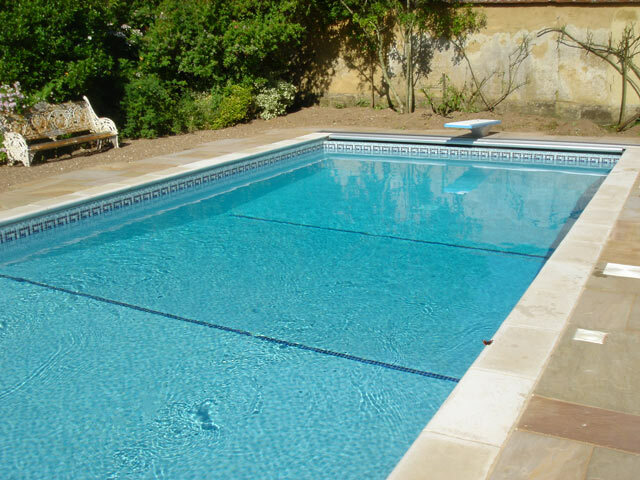 The customer wanted as big a pool as possible in the space he had and an above ground wooden pool was designed especially for this requirement.